The use of Bitherm´s Intelligent products provides the means to improve the energy efficiency and reduce the maintenance costs as they monitor the steam network and focus the maintenance where it needs to be applied. 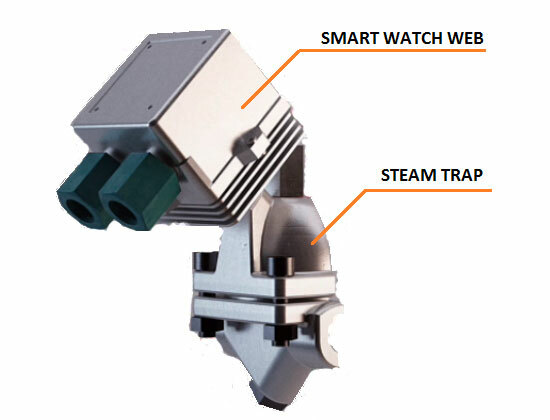 Intelligent Bithermostatic steam traps are the combination of Bi-Metallic Bithermostatic Steam Traps and Smart Watch Web Refinery Monitorization System. 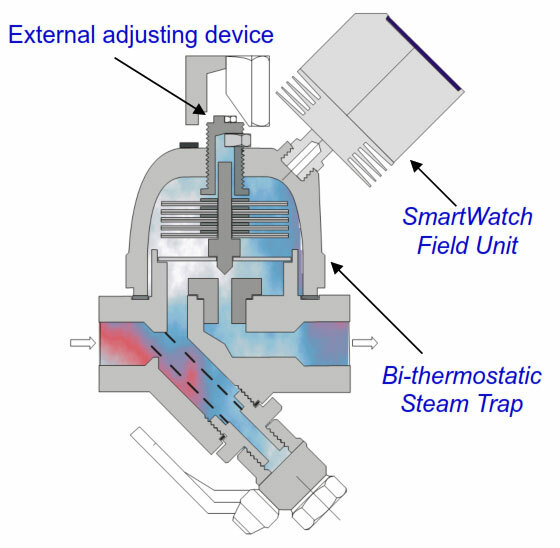 SmartWatchWebTM reaches its maximum performance when combined with Bitherm´s Bithermostatic Steam Traps and Trap Valve Stations. The installation of SWW10 on these valves is straight-forward as they have been designed to ease this coupling. When the valves are mounted together and the monitoring system is used we speak of Intelligent Valves. The simplest of these couples is the Intelligent Steam Trap. 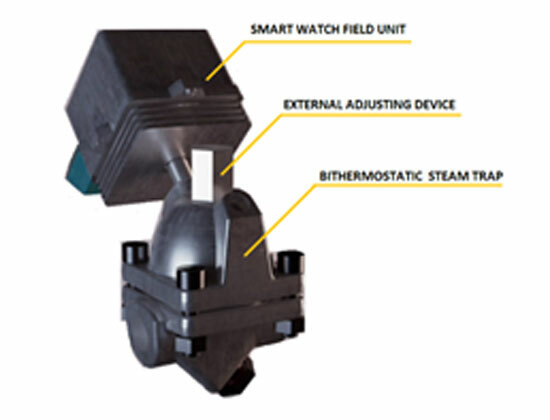 The SWW10 is screwed in the screw hole of the Bithermostatic Steam Trap which greatly simplifies the installation process. Once installed the valve can be remotely monitored, retrieving data for temperature and ultrasounds and optionally pressure. This data can be used to determine the valve status (ok, leaking, cold, etc.) and if pressure sensors are used it can also provide information about operational problems in the return collector. Presence of external or internal steam leaks. Energy Efficiency and reduced GHG emissions.